Kelapa Gading in North Jakarta has long been recognized by Jakartans as a culinary heaven. The residential area, particularly along Jl Boulevard Raya, is home to just about every kind of food one could imagine, from seafood, bakmi (noodles served with meat toppings), kwetiau (flat rice noodles served with beef), sop konro (Makassar-style rib soup) to local snacks, such as martabak (Indonesian pancake) and pastel (pastry filled with rice noodles, vegetables, egg and chicken or beef). Meanwhile, for residents of East Jakarta, Kelapa Gading is the go-to place for shopping as it houses a huge shopping complex. The long street can be a tad overwhelming for first-time visitors. Hence, to help you out The Jakarta Post has compiled a list of activities to do on Jl Boulevard Raya. At the time of our visit, The Post discovered that some parts of the road were closed because of the light rail transit (LRT) development. Hence, it is best to visit the area using taxi or ride-hailing apps, such as Go-Jek, Uber and Grab. However, those departing from Kota train station in West Jakarta or Pasar Minggu bus station in Jakarta can board a Transjakarta bus to the Sunter Kelapa Gading stop and continue with mikrolet (small public van) 30A. Meanwhile, those coming from Tanah Abang in Central Jakarta or Blok M in South Jakarta can hop on a Transjakarta bus via the Pulo Gadung route. However, passengers will need to hop off at Pulomas bus stop and continue with small public van KWK U04. Kelapa Gading is a more laid back area compared with other culinary hubs, such as Pantai Indah Kapuk in North Jakarta or Kemang in South Jakarta. The area houses family restaurants with unpretentious ambiance. Hence, T-shirt, shorts and slippers are acceptable while dining in the restaurants or visiting the malls. Since the area is recognized as a culinary haven, a culinary excursion is among the most popular activities to do in Kelapa Gading. However, visitors to Kelapa Gading may also want to have a look at Taman Jogging Kelapa Gading. 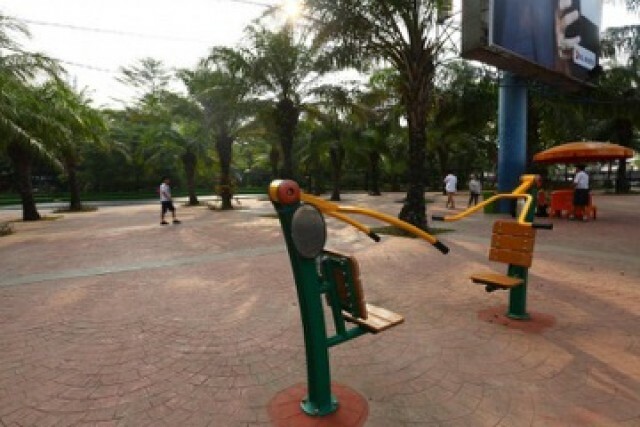 Located at the intersection of Jl Boulevard Raya and Jl Raya Boulevard Barat, visitors can burn some calories by jogging or using the fitness equipment available at the park. Those planning to tie the knot may want to check out Catherine Wedding & Photo and Cucu Foto Bridal Salon. The former is situated in front of Mall Kelapa Gading and offers one-stop bridal services, including pre-wedding photo shoots, wedding gowns, makeup and more. Prices for bridal packages start from Rp 21,500,000 (US$ 1,608). As for the latter, Cucu Foto Bridal Salon offers similar bridal services. However, visitors can also find packages for family and graduation photos. Meanwhile, bathroom singers can channel their inner Whitney Houston at the karaoke spots on Jl Boulevard Raya, namely NAV and Happy Puppy. Those wanting to try a traditional spa treatment can make a reservation at Martha Tilaar Salon Day Spa. Body massage services are also available at Segar Sehat. 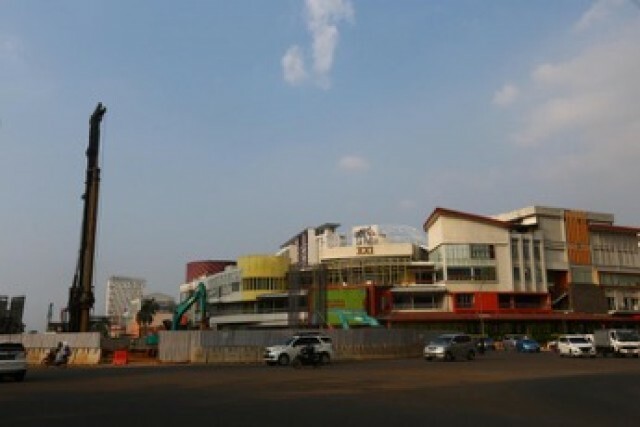 Mall Kelapa Gading is a shopping complex that comprises several parts, namely Mall Kelapa Gading 1-5, La Piazza and Gading Food City. In Mall Kelapa Gading 1,2,3,5 – yes, there is no Mall Kelapa Gading 4- visitors can check out franchise fashion outlets such as Uniqlo, Zara, La Senza, Bath & Body Works and more. Outside the Mall Kelapa Gading complex at the Mall Kelapa Gading 5 intersection, visitors can find Chinese book store Xhinzhi. 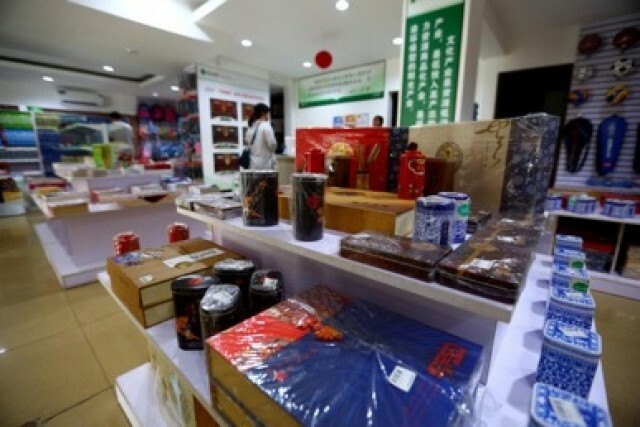 Here, those wanting to learn about Chinese culture can buy a range of books written in Mandarin Chinese as well as Chinese tea sets, mahjong and calligraphy sets. On the other side of Jl Boulevard Raya towards Rawamangun, visitors to Kelapa Gading will see Suzanna Baby Shop. As its name implies, the shop offers a wide array of products for babies, children as well as moms-to-be. If you are a foodie, then you are in luck as Jl Boulevard Raya is a street filled with character, offering a wide array of dishes. First-time visitors to the area may notice a plethora of seafood restaurants. Wiro Sableng 212 is one of the most popular seafood restaurants. 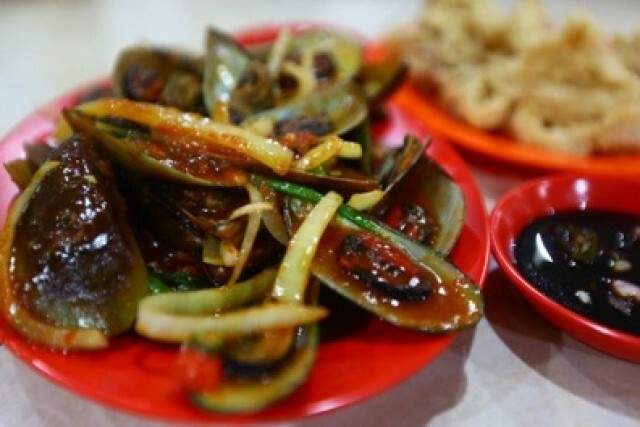 Specializing in Indonesian seafood, food enthusiasts will discover local treats, such as mussels cooked in Padang sauce, grilled fish and seafood staples like fried calamari. The prices are reasonable too, adding more reasons to visit the eatery. Chinese noodle lovers can check out Bakmi Bintang Gading, a restaurant that specializes in Makassar-style Chinese pork noodles. Meanwhile, Chinese barbecue pork dishes are available at Kacamata and Nasi Campur Kenanga restaurants. 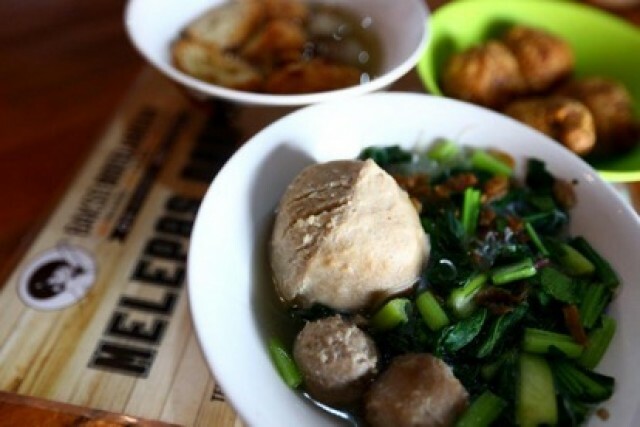 For lovers of Indonesian food, there is the option of Bakso Boedjangan, which serves traditional Indonesian bakso (Indonesian meatballs) with a twist. The restaurant's signature bakso includes special ingredients, such as cheese, chili, minced meat and even duck egg. Fans of angkringan (a popular type of food stall in Yogyakarta and Central Java) can drop by Angkringan Boy. Open from 6.30 p.m. until midnight, the stall serves angkringan-style food with pork-based dishes, such as spam, Chinese sausage and more. Lovers of hot, fiery dishes can try Manadonese cuisine at Bumbu Den or Restoran Ikan Tude Manado. Meanwhile, beef fanatics can visit Sop Konro Karebosi and Kwetiau Sapi Kelapa Gading. The former serves Makassar-style beef soup, while the latter offers kwetiau with choices of beef and offal. Bakeries such as AJ Bakery & Cake and Dynamic Bakery, are also available for those looking for bread or desserts. However, those wanting to try some traditional snacks can drop by at Pastel Ma’Cik. In addition to its signature pastel, the shop also sells traditional snacks such as kue pukis (traditional coconut milk cake), risoles (Indonesian fried spring rolls) and more. The much-loved dessert martabak is available at Markobar Boulevard Raya and Martabak San Francisco at Gading Food City. In addition to the food outlets on Jl Raya Boulevard, the shopping complex also offers a plethora of restaurants. - As many eateries serve pork-based dishes, Muslims should check with places prior to visiting. - Wear comfortable attire as the area is hot and humid. - As Jl Boulevard Raya is very long, walking is not really recommended. - During weekends, the road is frequently congested, hence it is recommended to use public transportation.